Since the past few years, there has been a drastic rise in the total number of SEO platforms and tools, to such an extent that business owners and SEO professionals find it indeed confusing to choose the best software which meets their SEO needs. There are several questions that you require asking yourself in order to take a well-informed and measured decision and end up with the best SEO software. What kind of features are you hunting for? Are there any specific tools which need to be there in the software package? Will you pay for getting access to the added options? Are the reports customizable? If yes, how much? Like the aforementioned questions, there are various other things too that you need to focus on. Let’s take a quick look at the criteria which you need to take into account while getting your best SEO software. It is crucial for SEO to have an accurate or close-to-accurate data on rankings. Before you evaluate the SEO platform, check out what the other users are saying about the data’s accuracy and how they collect the report. 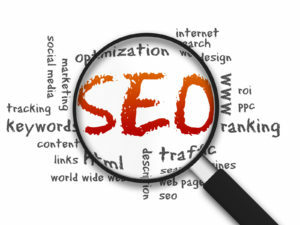 Begin with the keyword ranking tracker which is the soul and core of SEO. Also check if they offer rankings for desktop and mobile and in various search engines. Will you get an integration of Google Search Console or Google Analytics? You get added options for traffic analyzation and search engines which generate more traffic to the website. You need to check the progress of SEO everyday and also find out technical and SEO issues and this is what constitutes website audits. All SEO software packages and tools should have in its repository. Evaluate the number of parameters which are there in the audit and the kind of reporting that you will get. As SE Ranking’s tool Website Audit digs deep within your specific website and monitors every single page and discovers different issues and errors. As per comprehensive analysis, the site can be checked with more than 70 parameters. #3: How good is the tool for competitor research? If you use the PPC Research tool or Competitor SEO tool, it will let you check out the keywords and the ads which your competitors are using to be ranked in paid and organic search. This feature even lets you find more organic and paid competitors, discover new strategies for SEO and utilize them for different projects. The SE Ranking’s competitor analysis tool lets you perform a 360-degree check of all the parameters of your website. No matter which SEO software or tool you use, it should definitely include the feature of accurate reporting. The way in which the data is given to you and to your clients is something that you will depend on while working on a regular basis. Check the customization level, the automation and the details within the reports. Such reporting tools can let you personalize the reports with brand logos and other contact details to add an elegant touch and give it a sense of professionalism in the eyes of clients and executive teams. In a nutshell, the SEO software needs to be designed in such a manner that the user receives tips and pop-ups of enhancing the look and feel of their website. You should choose that system which offers you everything that you need and nothing that you don’t need.